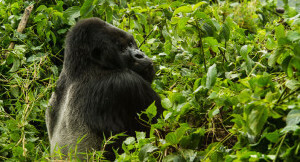 Travel to Rwanda for gorilla trekking – one of Africa’s most memorable wildlife encounters. Habituated to our presence, these gentle giants allow us to join their family for an hour in an unspoiled jungle habitat. You’ll sit spellbound as you watch familiar dynamics unfold around you – shy but curious babies; wrestling, mischievous teenagers and watchful, patient parents. 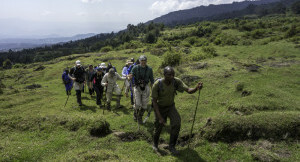 Rwanda offers what is regarded as the easiest, most accessible and the most reliable gorilla trekking in Africa. 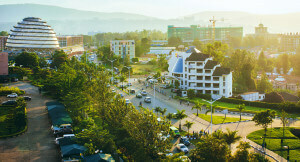 You fly into the capital Kigali and usually overnight in the city before travelling to the nearby Volcanoes National Park the next day. A protected swathe of pristine rainforest, the park was bought to the world’s attention by the late primatologist Dian Fossey of ‘Gorillas in the Mist’ fame and is home to several gorilla families as well as a wealth of other wildlife – smaller primates, dazzling butterflies and exotic birds. Expert trackers are sent ahead of your hiking party and you’ll be guided by local naturalists for near certain encounters with gorillas. And after gorilla trekking there are other activities and discoveries too; you could search for the rare golden monkey, hike a volcano or visit a local village for an insight into local culture and customs. Accommodation takes the form of specialist trekking camps and lodges set in forest clearings with panoramic views and all the comfort and en suite convenience you need. Trekkers are rewarded at the end of a damp and muddy day with roaring log fires and hot baths in their suites while hearty meals bubble away in the camp’s kitchen. 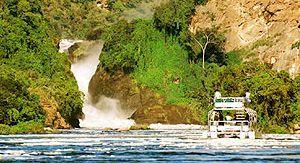 The experience needs at least three days and so most visitors who travel to Rwanda for gorilla trekking do so as part of a larger itinerary. Stay within the country and you have access to Rwanda’s Nyungwe Forest National Park for chimpanzee trekking adventures or you could combine gorilla trekking with a big game safari in Kenya or Tanzania. 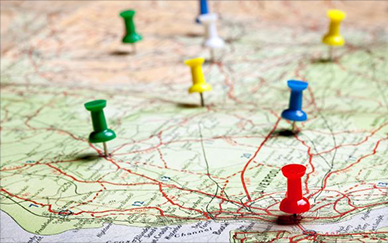 Add on an Indian Ocean beach holiday for the perfect ending: easy air connections put East Africa’s best destinations together and you can even include South Africa, Victoria Falls or Botswana onto your Rwanda travel plans – ask us how. stopover on your gorilla safari. Volcanoes National Park– just a 2-hour drive from Kigali, this rainforest reserve is one of Africa’s premier gorilla trekking destinations & a famous bio-diversity hotspot. Nyungwe Forest National Park – a magnificent rainforest reserve, home to birds, butterflies, orchids & 13 species of primate including our closest relatives – chimpanzees. Travel to Rwanda & the Volcanoes National Park for one of the biggest of big game encounters: face to face with a family of habituated mountain gorillas in their rainforest home. 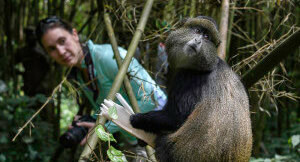 Discover the secrets of Central Africa’s rainforests on guided walks – you’ll be looking out for the rare golden monkey but there are also other primates as well as birds & forest animals to see. You’ll be entertained by Rwandan song & dance at your lodge but pay a visit to a local village for an insight into everyday life in the rainforests; you may get to meet the Batwa people, once known as pygmies. Travel to Nyungwe Forest to track chimpanzees & other forest creatures plus the unique chance to view the teeming forest canopy from a tree-top walkway. Kigali’s genocide museum is a sobering reflection of a troubled past but this safe & clean city is also home to colourful markets, great food & friendly people.